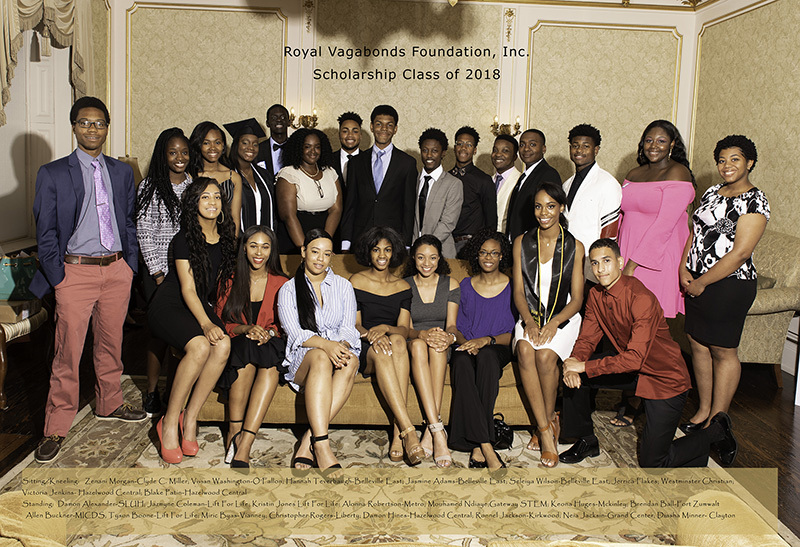 About the Royal Vagabonds Foundation, Inc.
Major Donors to the Royal Vagabonds Foundation, Inc.
At the Royal Vagabonds Foundation, Inc. Scholarship Reception, we recognize the achievements of outstanding high-school graduates representing the best St. Louis has to offer and present scholarship awards in support of their future education. See the 2018 scholarship recipients. The next Scholarship Reception will be held on May 19, 2019 at 4:00 pm. Copyright © 2019 · Royal Vagabonds Foundation, Inc.
Site design by Caliber Communications LLC.